Preheat the oven grill to medium-high. Halve 4 cinnamon doughnuts (standard or mini-sized) lengthways and place the bases on a baking tray. Arrange 3 marshmallows and a few raspberries on each doughnut base and place under the heated grill, keeping the oven door ajar. Keep a close eye on the marshmallows – you just want them to be puffed and toasted, and this could take less than a minute. 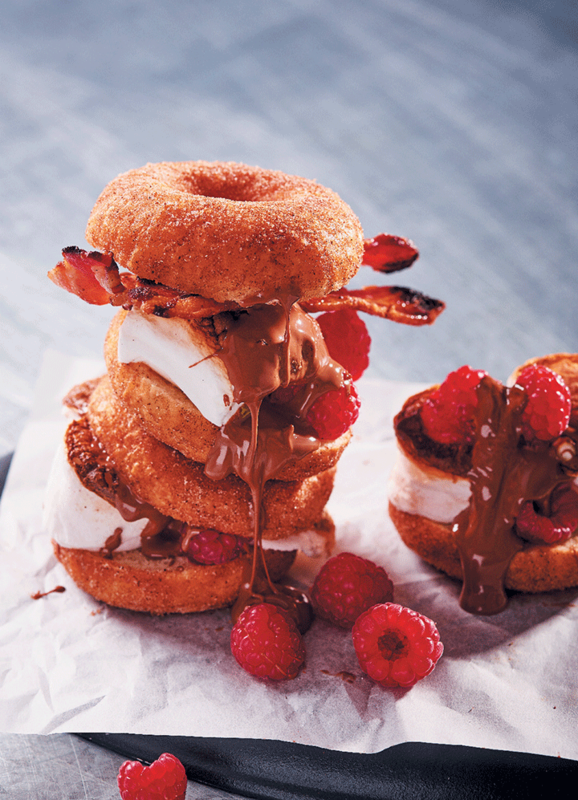 Serve with crispy bacon drizzled in maple syrup, sandwich the doughnut lids on and drizzle with melted milk chocolate.